As for the price, the black color variant is priced at $220, while the orange and cyan models will set you back $245. An important thing worth noting is that you need to check the supported LTE bands to make sure that the device supports your carrier. Specs-wise, the Lumia 640 is powered by a Snapdragon 400 chipset with 1.2 GHz Quad-core Cortex-A7 processor, and sports a 5-inch 720p display. It comes with 1GB of RAM, 8GB internal memory (expandable up to 128 GB via a microSD card), and packs in a 2,500mAh battery. In terms of camera, the device features an 8MP rear unit and a 1MP front shooter. 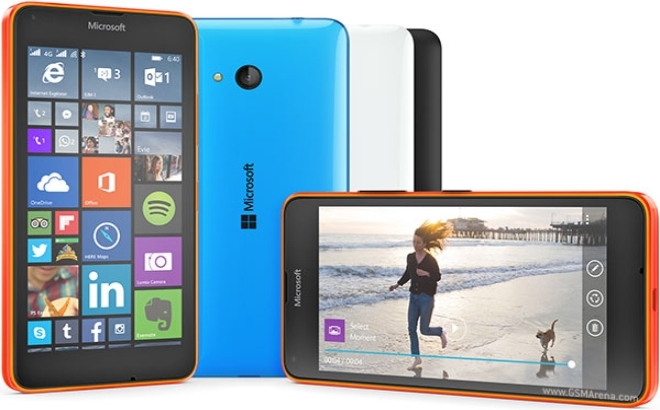 The smartphone runs the latest Windows Phone 8.1 with Lumia Denim.